People are known as "Human Resources" in companies. We all need to understand that human beings are valuable resources. Is this really happening in India ? We need to understand this is not always the case which is what we all need to address to make our country truly enriched and complete. The fact is people are of course a great potential resource. However, everyone needs skills to become resources else they become useless in their lives and a liability for the nation. We do know that more than half of India’s population of 1.3 billion is below the age of 25. It is also estimated that the average age of India’s population will be 29 by 2020. This may prove to be disastrous rather than a source of growth, if we do not create sufficient employment opportunities, and adequately prepare our young workforce. 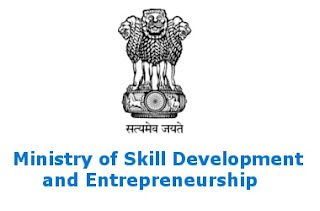 Though there are a number of existing skill initiatives, including Industrial Training Institutes (ITIs), Vocational Training Institutes for Women, Advanced Training Institutes run by the Directorate of General Training (DGT) and Basic Training Centres and Related Instructions Centres by private firms or the government. Pradhan Mantri Kaushal Vikas Yojana (PMKVY) of the Central Government, training conducted by several ministries and departments such as agriculture, housing and poverty alleviation, women and child development, commerce and industry, Bachelor of Vocation (B.Voc) and Diploma of Vocation (D.Voc) by the Ministry of Human Resource Development, among others, most of them are not up to the mark to deliver what the industry needs. When we at Digital India recognised this lacunae, we took it upon ourselves to tap into the potential of the nation. We realised that even with such multifaceted efforts, India has formally trained very few of the total workforce (15-59 years of age) of about 487 million people in India. Actually, just 7 percent are in the formal sector. Where is the lacunae ? The fact is “inadequate industry interface” is one of the major issues facing the vocational education and training system in India. Whilst it is important to create a vocational education and training ecosystem, industry’s role in this space cannot be overlooked. Without substantial input from industry in the design and curriculum of courses, the skills that are taught are often out of line with the needs of employers. There is a lack of industry involvement in vocational education and training as one of the key challenges faced by the skill development sector today. This includes low involvement in delivery, management of institutions and curriculum design. Low industry participation in these aspects has created a situation where many participants in skills training programs remain unfit for employment after completion. When we need to work for industry, we have to get involved with them else there would be a total mismatch of the skills. This is why we at Digital Marketing recognised what a key area which is necessary in today's digital age is how to remain connected and leverage the advantages of the digital world. We teach everyone how to experience the power of the digital world, leverage numerous apps, tools and techniques for one's career and business growth. and position one's contact on the web, mobile and social media. By doing so, we are certain we shall create a smaller, better and more equipped to handle the emerging world and make oneself so much in demand that jobs come looking for us and we do not ever have to worry about ever getting placed. To overcome this, there has to be a complete involvement to understand what the industry needs which is what we are always trying to address. There must be continuous evaluation to assess the student at all stages so there is continuous improvement in their skills. This must include both theoretical and practical assessments to made the model a complete one. A further issue that must be considered is alignment of skill initiatives with youth aspirations and preferences. 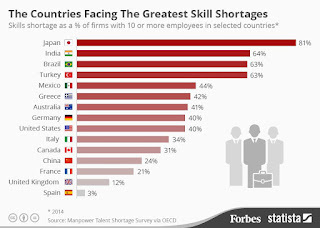 Last but definitely not the least, despite the dominant approach of providing job specific skills, increasing attention should be given to skills that will allow individuals to adapt. Basic education is essential for realising this and enabling youth to achieve their full potential. On top of that, due to changes in the structure of the labour market, and increasing technological adoption, skill premiums can be found in soft skills, interpersonal skills, creativity and critical thinking. Moving forward these should be central to skill development strategies. As we have seen, essentially, given the extent of the employ-ability challenge, India must find innovative ways of skilling and educating its population. 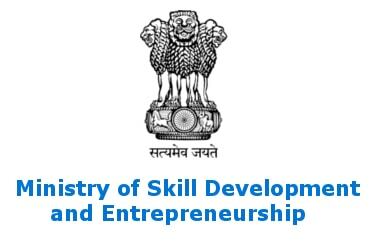 The strategy moving forward must ensure that industry plays a key role in shaping skill development programmes. Certification of skills training in India needs to be standardised, so that there is quality of delivery and trust among employers. Further, a long-term skill development strategy must account for persistent gender gaps in training and labour force participation, as well as youth aspirations and the need for solid basic education. To chart a path towards inclusive growth, India must find effective ways of skilling, up-skilling and re-skilling its rising youth population. We focus on all these areas to ensure that our nation makes effective use of our youth to make them a complete resources whom people will be more than eager to grab as we ensure that all the skills are very much in place. By ensuring both the industry and students are happy, we at Digital Marketing aim at creating a truly win win situation. Our tie ups in various fora has also ensured that we stay updated in all the happenings and requirements in the globalised world today. We hope to create more and more success stories ensuring India uses all its potential and thus truly shines as the capital of human resources.